December 6 is National Day of Remembrance and Action on Violence Against Women in Canada. This holiday is also known as White Ribbon Day. The day commemorates the events of 1989, when an armed student Marc Lépine murdered 14 women and injured 10 others in the name of “fighting feminism”. Today this event is known as École Polytechnique massacre and it is commemorated annually on December 6 since 1991. The legislation, that assigned the holiday, was introduced in the House of Commons as a private member's bill by Dawn Black and it received all-party support. White ribbon became a symbol of anti-violence against women in 1991, when the White Ribbon Campaign was created. This tradition spread to 57 countries around the world and today men and boys work on international level to stop violence against women. Canadian flags on all federal buildings are flown half-mast on December 6. 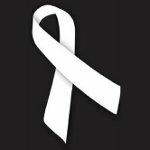 All Canadians are encouraged to wear a white ribbon and observe the day with a minute of silence.